A little mini-update since I've been working behind the scenes grinding for you guys. Now, thanks to absurd point gains, Hawke, Lash and Sensei are up to level 10 and soon the others will be up to the same point. 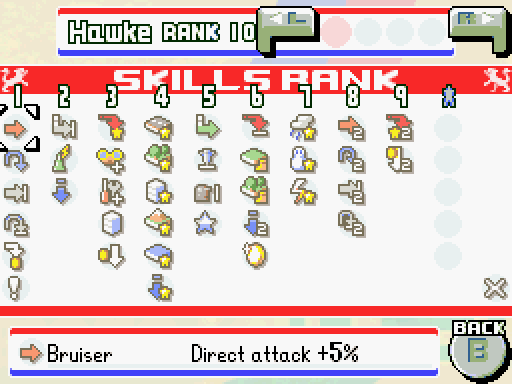 While I'm working on that in the next few days, why don't you gawk at how absurd the skills in this game are. We've seen Levels 1 and 2 before, but 3-9 are new, and the * ones are only earned after you beat the campaign (and are even more absurd). Combat Pay: Earn 2% of the damage delivered back in funds. Unlock a new picture for your CO.
Yea, how does any of this seem balanced? The AI never use them, but then again, would you want the AI to use any of them? Imagine Spiral Garden if Kindle had Star Power.